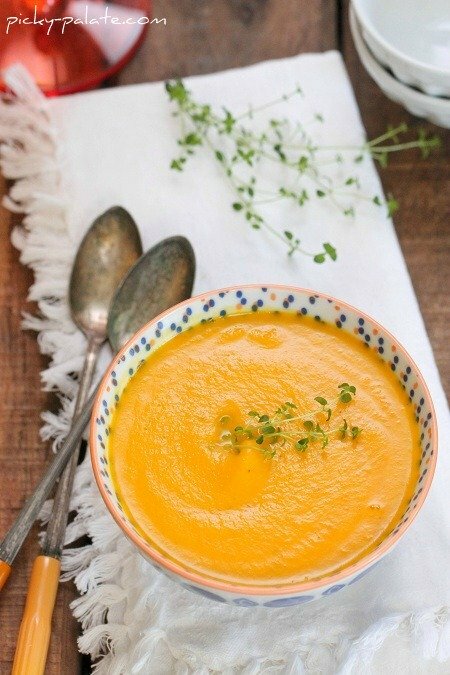 Sharing my Simple Creamy Carrot Soup today! Packed with delicious flavor and couldn’t be more simple to prepare! 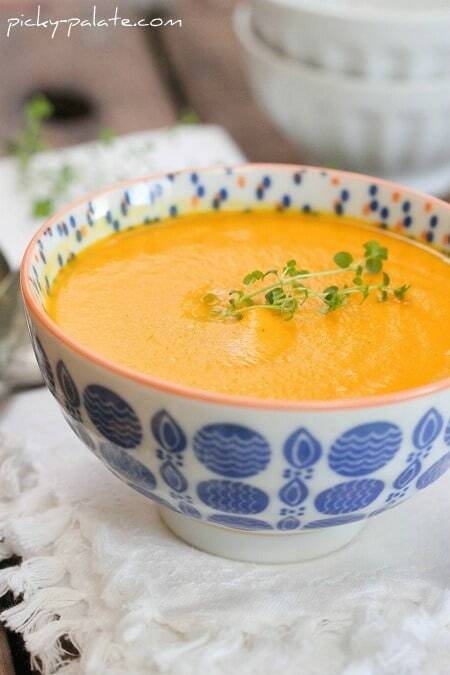 You are in for such a treat with my Simple Creamy Carrot Soup recipe! One of my favorite cafe’s to eat at is called Le Pain Quotidien, is this adorable French cafe with a killer menu. I would say one of my favorite things to order is their perfect carrot soup. It is creamy and perfectly seasoned. I came home one afternoon determined to re-create their carrot soup. I am happy to say it is delicious and pretty darn good for you! 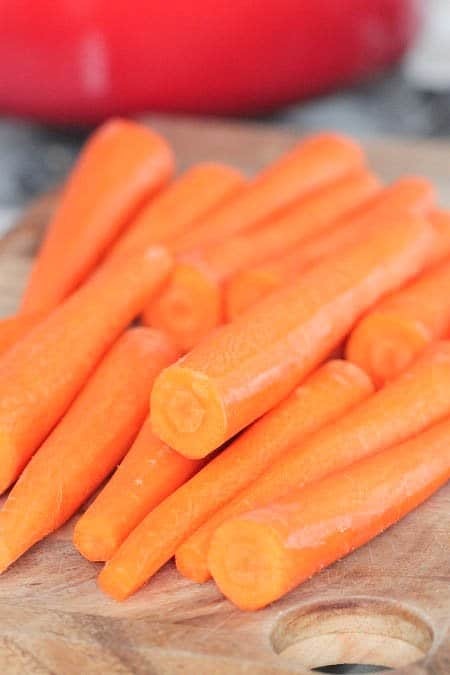 You’ll start with 2 pounds of carrots, peeled. Cut them into 1 inch pieces and add to a hot pot with some olive oil. Add a couple sprigs of fresh herbs. I used rosemary and thyme. 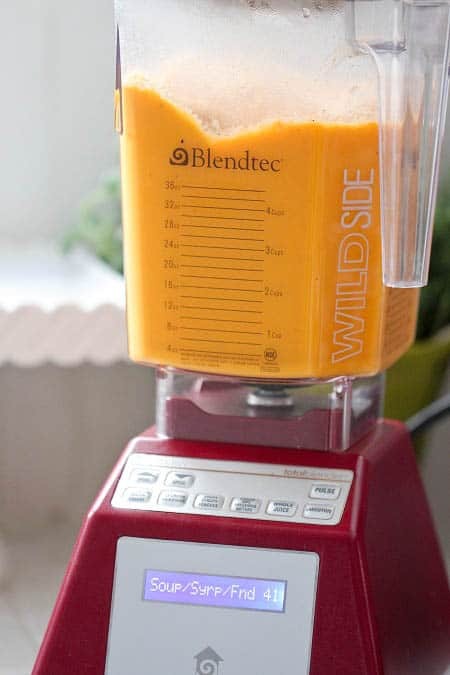 Once your carrots are tender, remove herbs and transfer carrots and veggies to your Blender. 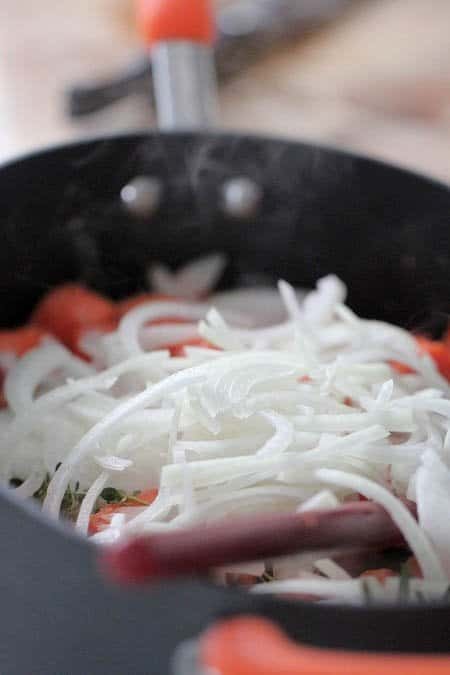 Blend on soup mode and add your chicken broth. Transfer pureed soup to a large saucepan and drop 2 bacon strips inside for a hint of smoky flavor. Season with salt, pepper and hot sauce. Ahhhh, dig in!! 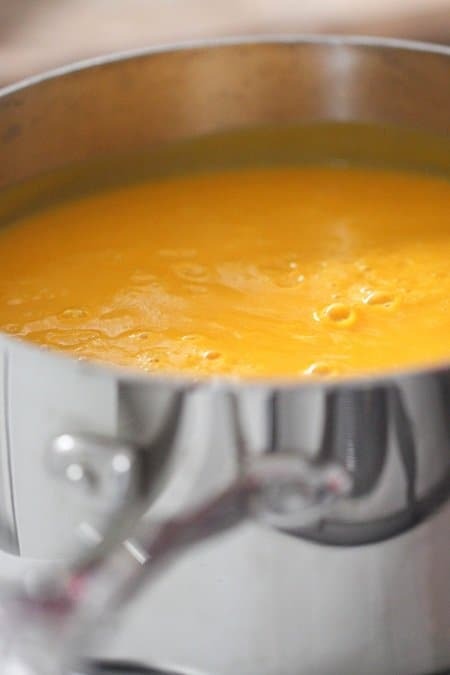 Hope you enjoy this Simple Creamy Carrot Soup! Place oil in large pot over medium heat. 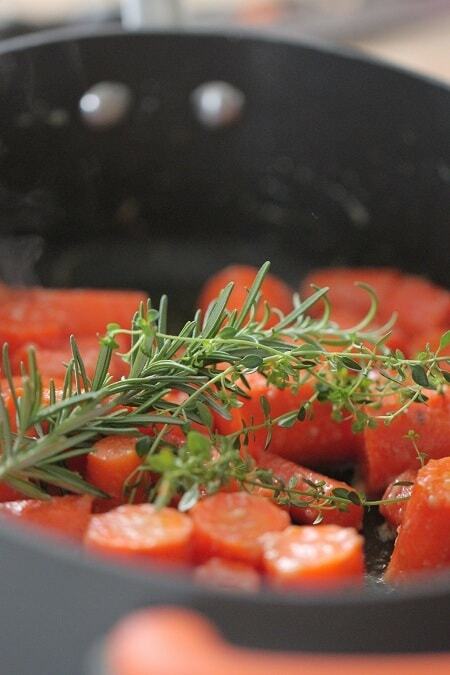 Add carrots, onions, garlic, thyme and rosemary. 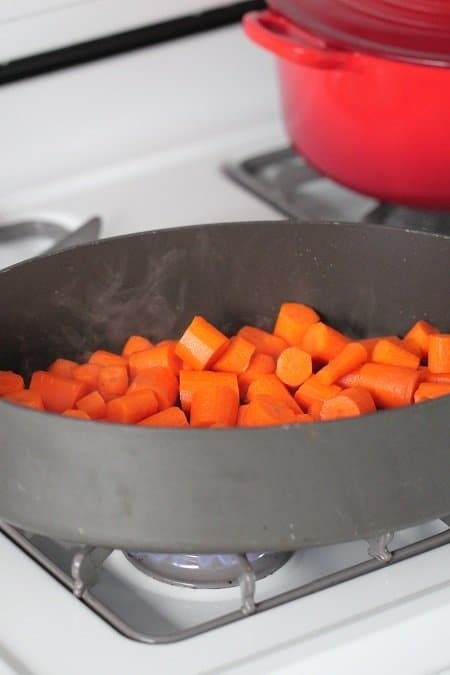 Cook for 15 minutes, until carrots are fork tender. 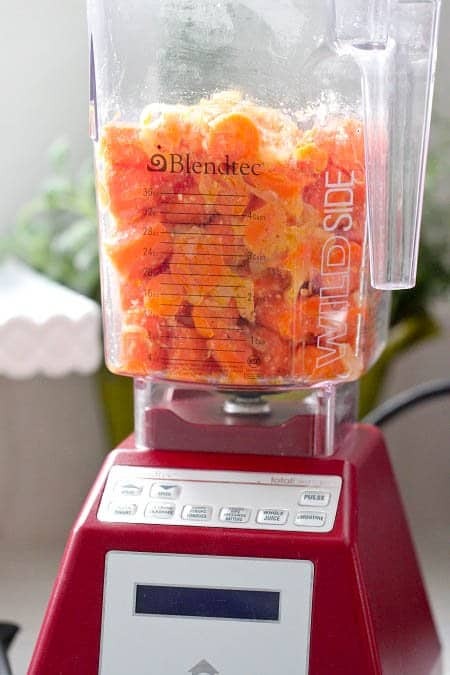 Remove herb sprigs and transfer carrots and vegetables to blender (I used our Blendtec). Puree, using the soup button. Add chicken broth and continue to puree. Transfer to large saucepan over medium heat and add bacon strips. Season with salt, pepper and hot sauce. Simmer until ready to serve.